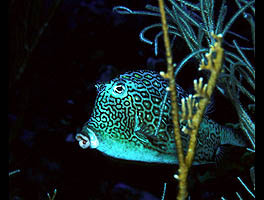 The expression on this Honeycomb Cowfish makes it look like it was caught by surprise. Click here to learn more about why this fish puckers. 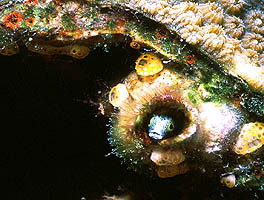 The Spinyheaded Blenny is so small it could live inside a soda straw. Click here to see this tiny fish up close.